The big brawny Cabernet Sauvignon wines from the US west coast are some of the most interesting wines in the world. The big bold flavor with a char-grilled steak is one of life’s real pleasured for serious wine drinkers. But that big smooth flavor and drinkability can easily run $50-$100. But if you like the taste of a Cab and don’t want knocked off your feet, it can be hard to get a well-made and full-flavored Cabernet. Just don’t head west but head to the northwest and you might find the bottle to suit your taste. Washington state red blends are some of the best US blends money can buy. A wide variety of affordable Washington Cabernets also fit that bill of full-fruit mouth feel, soft tannins, a nice finish, and imminently drinkable glass of red wine – even without food! 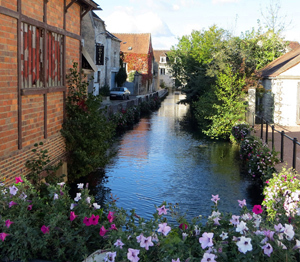 But if you’re like me and just like the taste of a Cab but don’t always want the power – you need a softer version. I have a go-to bottle now days I just love and it’s pretty easy to find. This is a wine to never buy just a bottle, grab six or a case! Tamarack Cellars 2010 Columbia Valley Cabernet – The best thing about Tamarack is the beautiful mouthfeel and balance from the tip of your tongue until the wine goes down the hatch with a delightful finish. Just out of the bottle you’ll get some oak and moderately strong tannins, but it softens up with a decant or a day after opening with good storage practices. It has rich dark fruit, a hint of vanilla, and maybe some black raspberry. The SRP on this wine may in the $30 range but you’ll often find it at $25-$30. It’s worth every nickel for the price point. 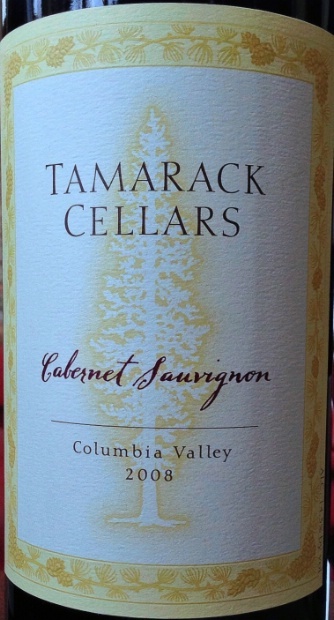 Tamarack Cellars 2010 Columbia Valley Cabernet, the 2011 Cab of the same heritage has a SRP of $36. Very Highly Recommended!